Paris Versailles is one of those trips you must take at least once in a lifetime. You don’t need to take a full Versailles tour to enjoy a lovely afternoon. 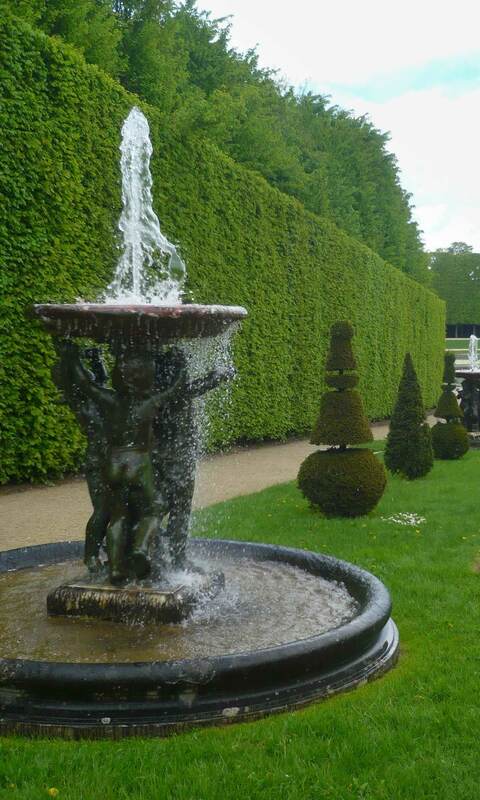 The gardens of the castle are charming, relaxing, and full of impressive statues and water fountains. 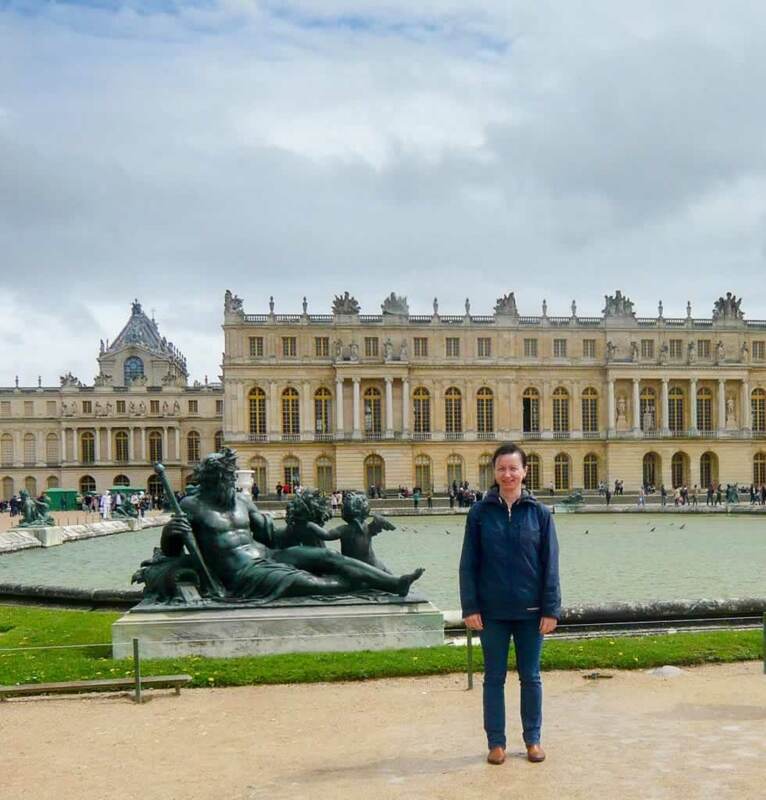 I went from Paris to Versailles with the intention to visit the entire palace. I changed my mind when I saw the incredible queue in front of the golden gates. There must have been a few thousands of people waiting in line, the snake-shaped queue filling almost the whole available space. As I got closer, I noticed those people already had bought their tickets, and were waiting to enter the castle. I should have bought skip the line Versailles tickets in advance, too. For a split second, I though I’d go back to Paris after the one hour train ride I took from Gare Saint Lazare to Versailles. Luckily, I saw a map of Versailles palace and gardens, and I spotted the entrance to the gardens. There were very few people waiting to get tickets. The day was saved. The magnificent gardens were welcoming and huge, making the crowds less intrusive. I experienced three seasons in one day. For a while, there was the autumn-like rain that ruined most of my photos of the lovely Versailles gardens. Suddenly, the sun appeared, allowing me to capture some cool scenes. At times, it was so hot that I started to seek for the shadow of the green maze made from very tall bushes and wooden fences. 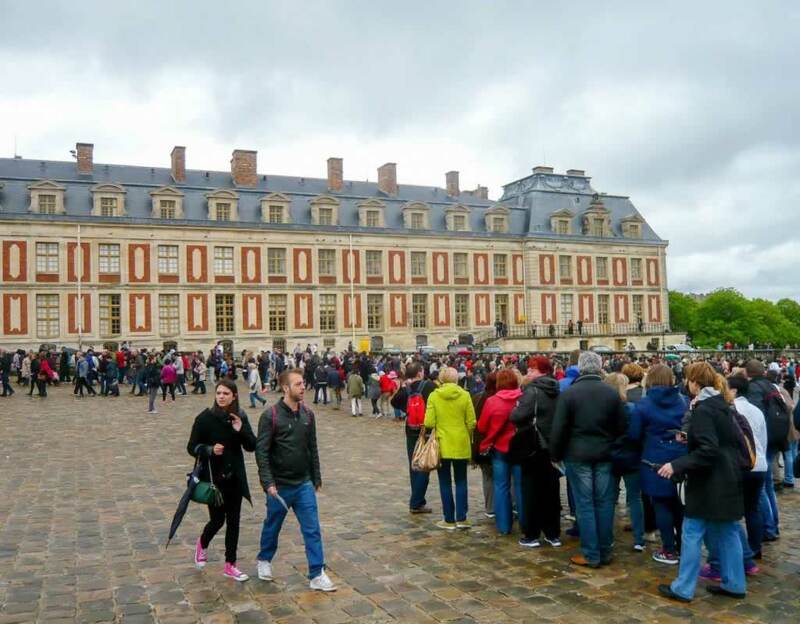 If you want to skip the line (a part of it, anyway), buy your Versailles admission ticket online here today, Friday, April 26th 2019. During the high season (July, August) you can save up to two hours by buying your tickets online. Can You Skip the Line By Buying Your Tickets in Advance? Paris Versailles is a trip you can take by train, by bus or by car. The train is fairly inexpensive, and you have multiple options to catch one. You should be looking for RER C. You’ll see train lines are very well connected to the metro network, so it doesn’t matter much where in Paris your accommodation is, as you’ll have good access from everywhere in the city. In Versailles, the train station is within walking distance from the palace. If you prefer to rent a car, you’ll be able to park nearby the castle. 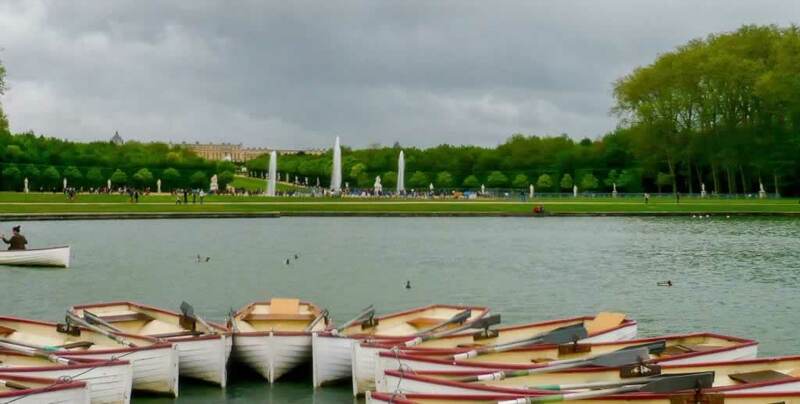 If you don’t want to bother with driving or trying to find your way around Paris and its 14 metro lines and 5 RER lines, you can book an organized tour to Versailles. The bus will pick you up from your hotel or from a previously agreed meeting point, and you won’t have to worry about anything else than getting your camera ready for the countless photo opportunities. The distance from Paris to Versailles is about 16 miles. As this isn’t exactly my average walking distance, I’ve taken the metro to the RER C train, line 5, going to Versailles-Rive Gauche Station. Traveling by train is an excellent opportunity to spot some more things to see in Paris. This is how I’ve discovered La Defense (which I visited on my way back to Paris from Versailles), and Montparnasse Tour (which offers an amazing panorama of Paris). Anyway, the thing you have to know is that the round trip Paris Versailles by train takes two hours. 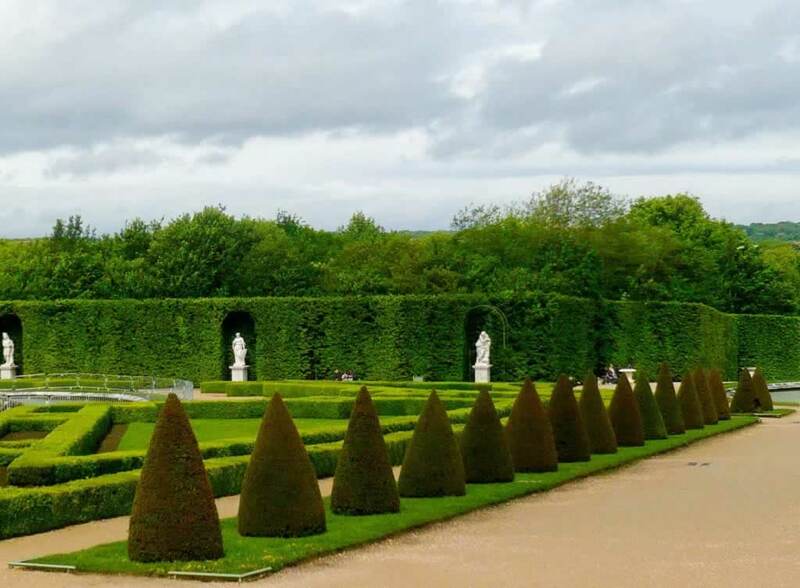 The palace of Versailles tour takes about two or three hours, and you should schedule at least one hour for the gardens. As for the line, I have no idea how much time you should plan, but I’d say between one and two hours. 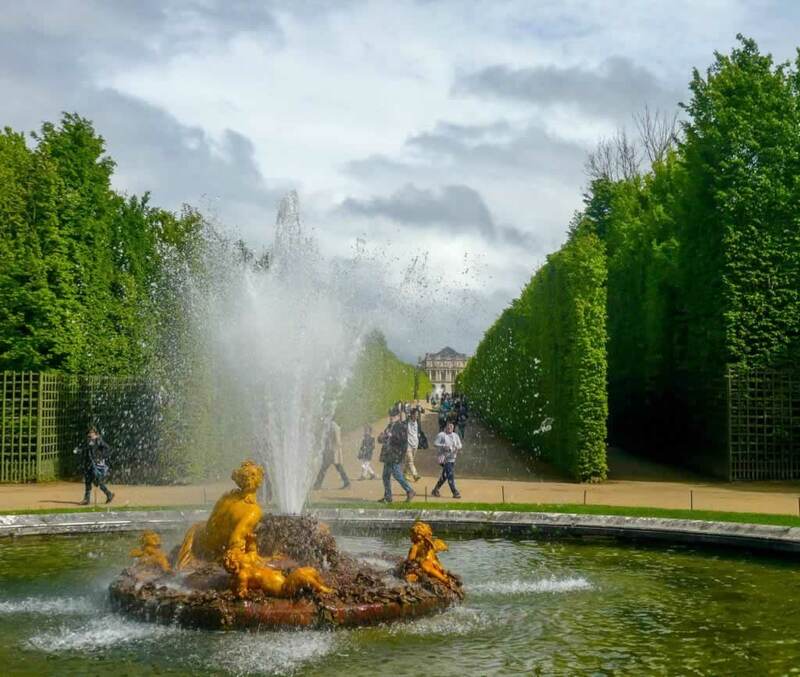 If you visit Versailles on a weekend day between April and October, you’ll have the chance to enjoy the Musical Fountains and Gardens Shows, so you may want to roam around for longer. 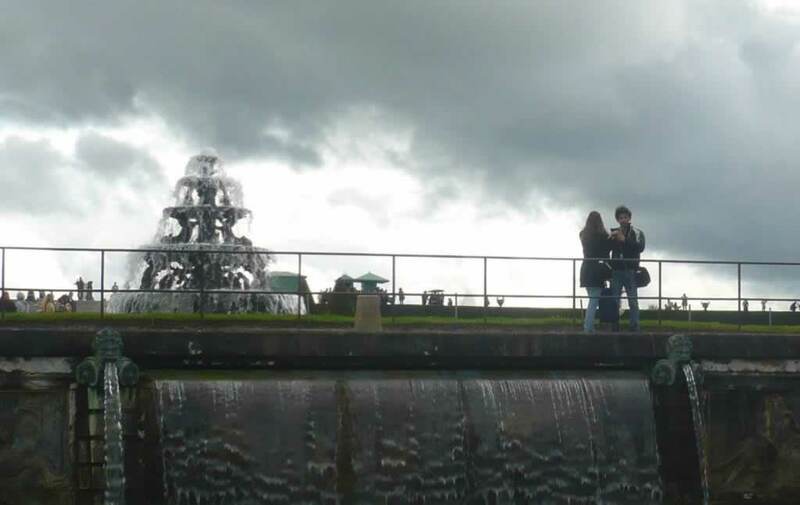 I’ve been here in April, so I’ve seen the fountains working. 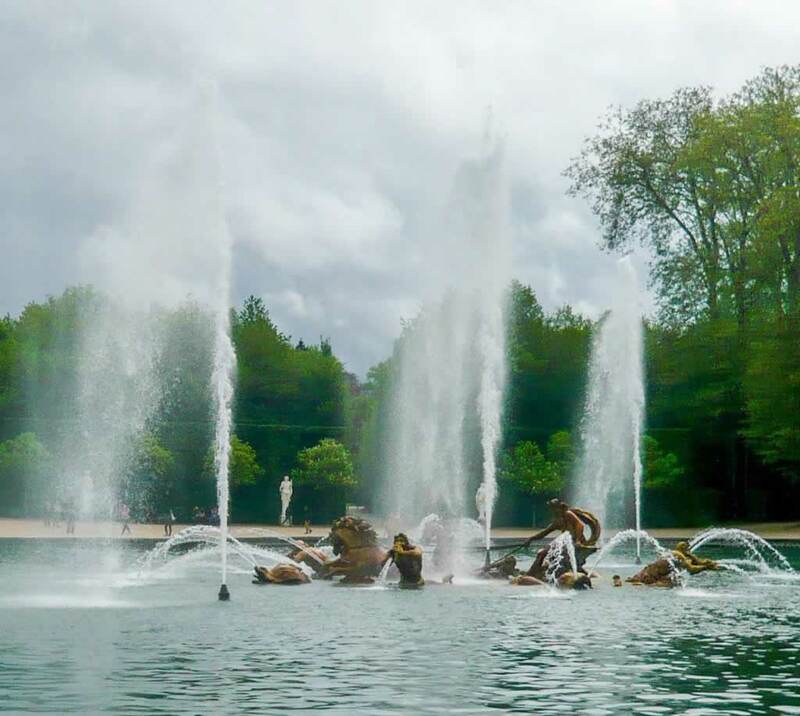 Should you be willing to get there this year, make sure you check the Versailles fountains schedule for 2018 before planning your trip. The fence and the gates of Versailles Palace are visible from a distance. Don’t they look cool on that cloudy background? 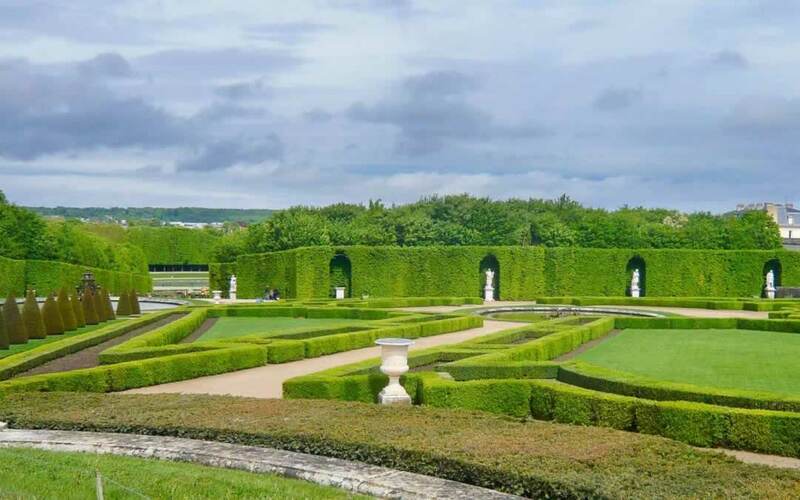 The Versailles Gardens offer an impressive scenery. Those bushes make excellent leading lines for photos, and the marble statues contrast with the green background in a nice way. As this was among the longest lines I’ve ever seen in Paris or in any other tourist spot for that matter, the first question that came to mind was whether buying your tickets online would save you from doing the queue.If you are keen on visiting both the castle and the gardens, purchase your tickets in advance, as that’s going to save you some time. The truth is that you’ll skip only the line for purchasing tickets, which is way smaller than the one you need to do to enter the castle. I didn’t count, but I think there were many hundreds of people with their tickets already in their hand, waiting for their turn to get inside the “chateau.” That’s when I was certain we were going to head back to the train station and to Paris, without having seen anything but the golden gates and the crowds. As far as I was concerned, my Versailles tour ended before it even started. 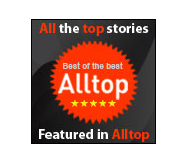 I was sure I was going to read about the history of Versailles, and call it a day. After all, we all know what happened to Louis IV, and what kind of luxury they lived in. I’ve seen enough night pots made from fine porcelain in various palaces such as Schonnbrun in Vienna, Austria, and Achilleon, in Corfu, Greece. All these people are waiting in line to enter the palace. It’s rather depressing to see them as you come from the train station. Once you realize they aren’t there just to take photos, you start thinking about catching the next train back to Paris. 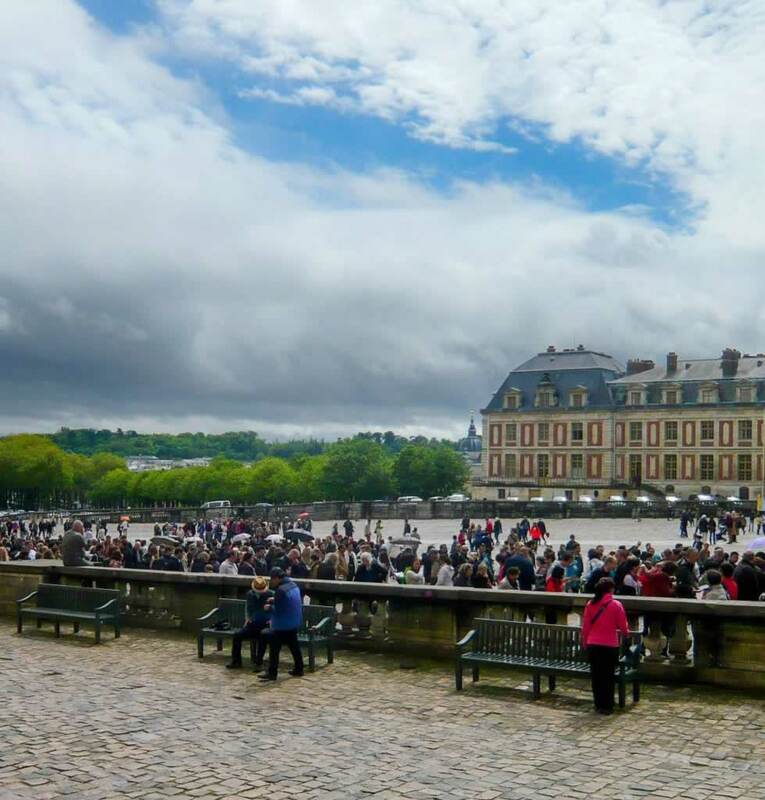 The rain and the dark clouds above Versailles didn’t deter the crowds. Smart travelers always carry an umbrella with them, just in case. When you only have three days in Paris, and you waste one like that, you feel angry and sad. Why did I choose Versailles for a one day trip, rather than Fontainebleau, Chateau de Vincennes, or Giverny? Add one full hour of researching how to get to Versailles from Paris, and you have a recipe for disaster. 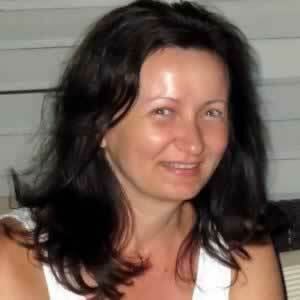 Anyway, I prefer slow travel, so I try to spend more than two or three days everywhere I go. Paris was the exception, as I could only afford three days or not go at all. As I still couldn’t believe I had come to Versailes for nothing, I was hanging around, hoping to find a solution to visit the exterior of the estate without having to spend two hours of my life doing the queue. Apparently, there was only one entrance, the one where you needed to pass the security check. Then I spotted a map of the gardens, and I decided to take a closer look, just to see what I was going to miss. If you find this map, look carefully. Next to it, there is an arrow pointing to the Gardens. Follow that direction and you’ll get to a small entrance, where you pay the 9 euro entry ticket and they let you in. There are barely any people here, so you’ll get through the gates in as little as five minutes. 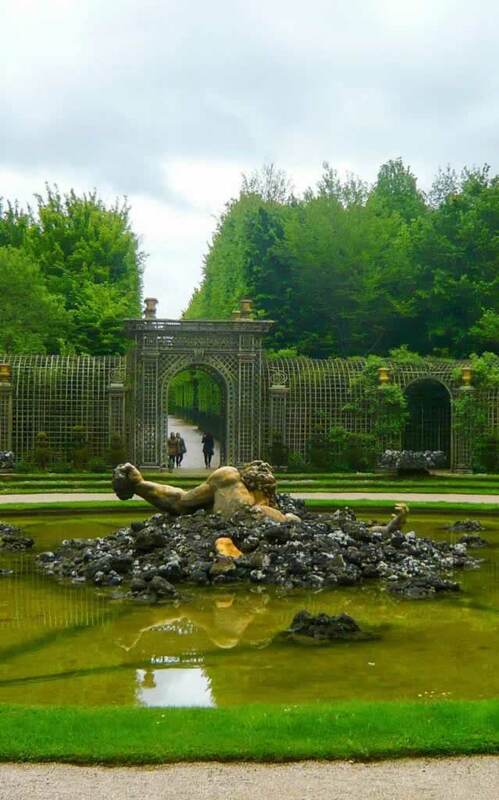 You won’t visit the interior of the palace, but the gardens are well-worth the Paris Versailles trip. I’m happy to be on the other side of the golden gates, with the statue of Neptune and the Versailles palace behind me. The gardens are huge but very well organized. You’ll find your way around with ease, as every section is carefully labeled. At the entrance, they give you a map. This will help you find out where you are at any given time, and who are “the guys and the girls” in the middle of the water fountains. 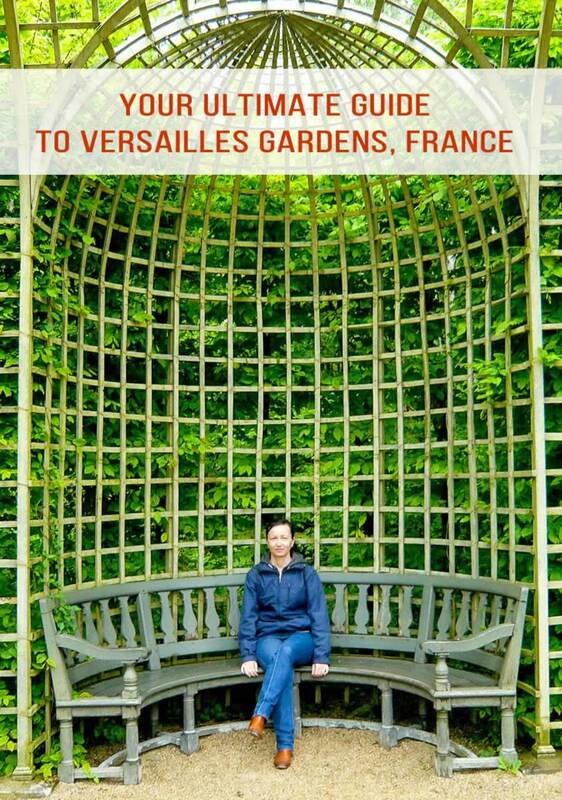 You’ll find out who was the architect of the Southern Groves and the Northern Groves of Versailles, as well as many other details about the history of the gardens. 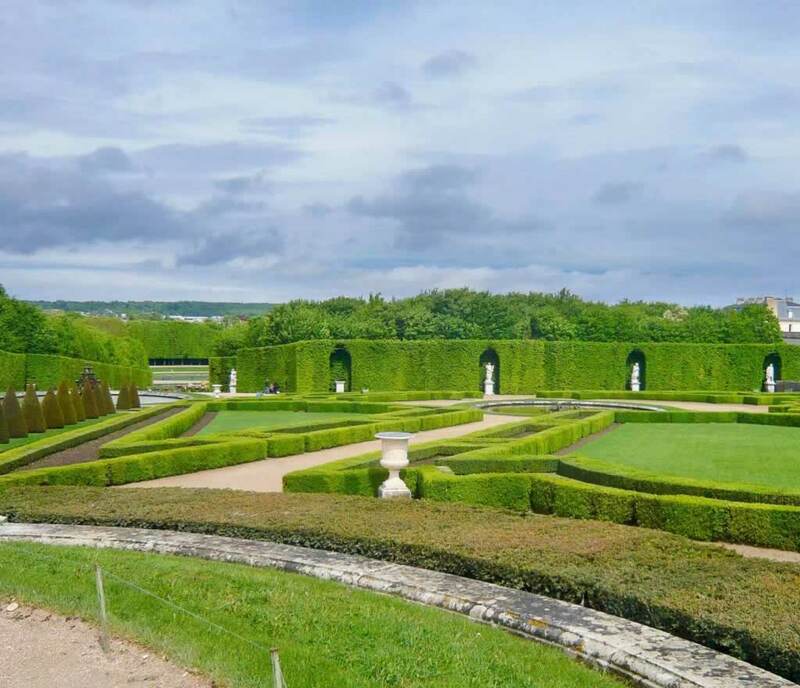 As a matter of fact, the layout of the gardens is the work of Andre Le Notre, famous French landscape architect, and way more than a simple gardener. Le Notre had a great vision, and he did everything in his power to bring it to life. The statue of Enceladus, swallowed by Mount Etna. Enceladus was one of the Giants. The author of this statue is Gaspard Marsy. The fountain of Apollo. Apollo comes out of the water in his chariot drawn by four horses. This bronze sculpture is the creation of Jean-Baptiste Tuby. The statue of Ceres with three little angels. The French name of these little guys is “amours” – how sweet is this? It’s a pleasure to sit on those benches, watch the water fountains and listen to the music. 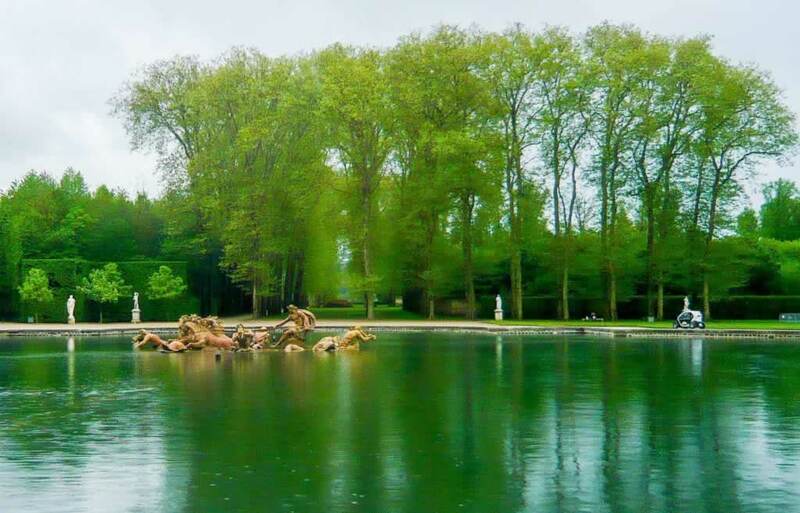 Versailles Gardens are a corner of Heaven on Earth, well worth the one-hour Paris Versailles commute.